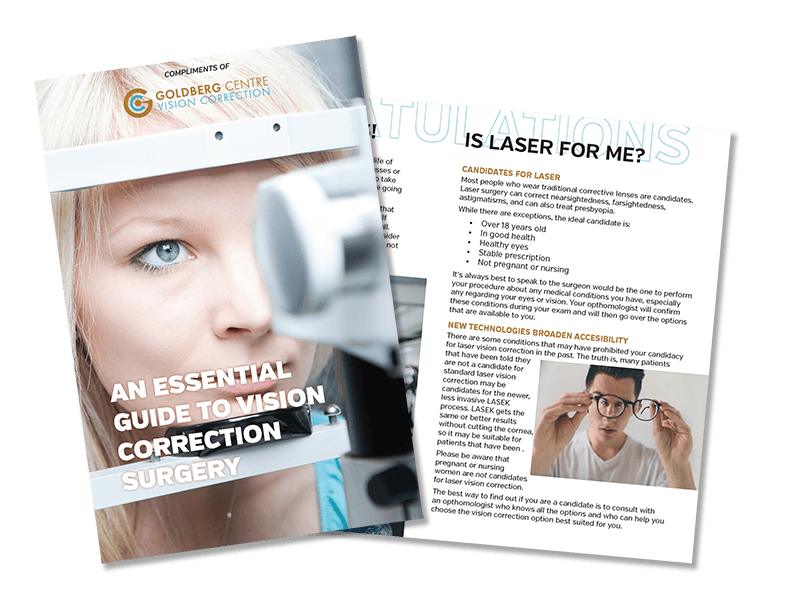 In order to make the best decision, we think you need to know the facts about laser eye vision correction. We’ve put together a concise guide to help you understand what your choices are and what to expect from surgery. Fill in your email and we’ll send you a link to the pdf. Or (optionally) fill in your street address and we’ll mail you a booklet. Need support or answers right away? We’re available 24/7 at 416 412 4441. For the best in non-invasive cosmetic treatments, visit the Goldberg Medical Spa.